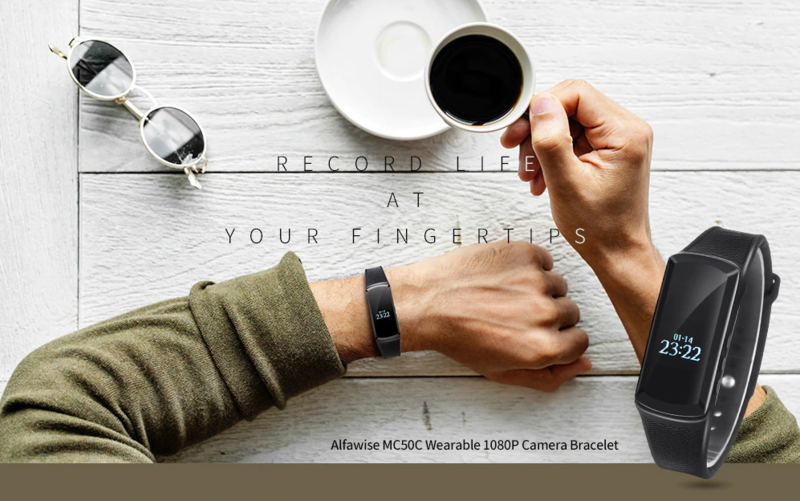 The Alfawise MC50C is a beautiful bracelet shaped smart watch with lots of smart features. 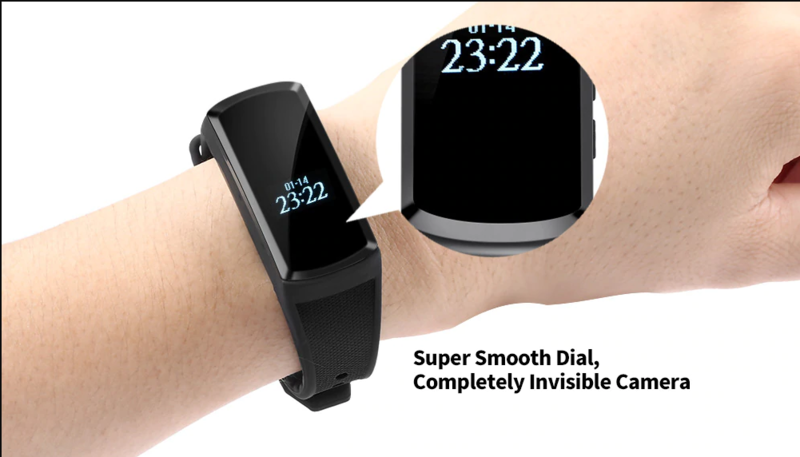 The daily life is wonderful with a useful smartwatch fastened to your wrist. The beautiful bracelet shaped smartwatch is capable of serving many useful purposes. Alfawise MC50C is comparatively cheap but sports many attractive features. The features along with the pros and cons of the watch will be discussed now in a quick review. The watch looks like a stylish bracelet. The comfort comes to the user as it is skin-friendly. The advanced TPE (Thermoplastic Elastomer) technology makes it comfortable to wear and gives it eye catchy to look at the same time. The material called TPE is sufficiently elastic so the material stretches whenever required by the user. The material also has the property of quickly coming back to original shape after stretch, which makes it durable. The TPE also has finer finishing making it have a smooth, skin-friendly and comfortable material to wear. The Alfawise MC50C has a nearly half inch screen of rectangular shape. The shape of the screen of this watch looks really attractive with sharp slops inclining from the edges of the display. Rectangular shape helps to maintain the aspect ratio of the display. The display shows the icons in vertical linear fashion which makes the use of the watch convenient at a single glance. The display is of OLED type, which stands for Organic Light Emitting Diode. The OLED is far more comfortable and less harmful to eye than the conventional LCD displays. The display overall comes eye-catchy, stylish, optimized and vision friendly, making it your perfect companion for all along the day. 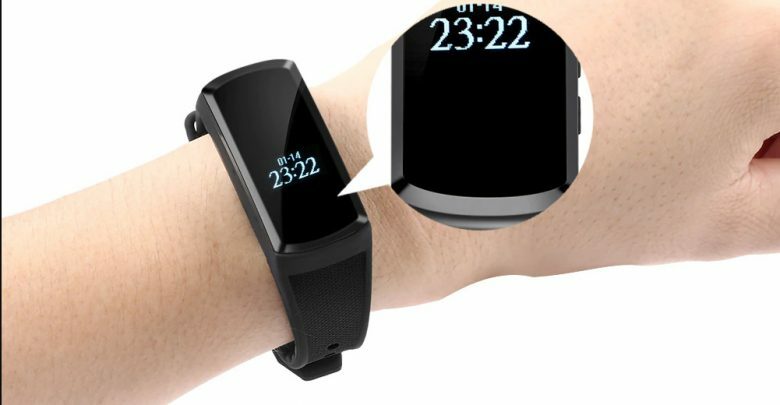 The charging voltage input is 5V DC for the watch, which makes it convenient to charge with all USB interfaces and most of the adapters available in households. No additional adapters or separate chargers are needed to be carried, which makes the user feel free of the burden of another extra charger. 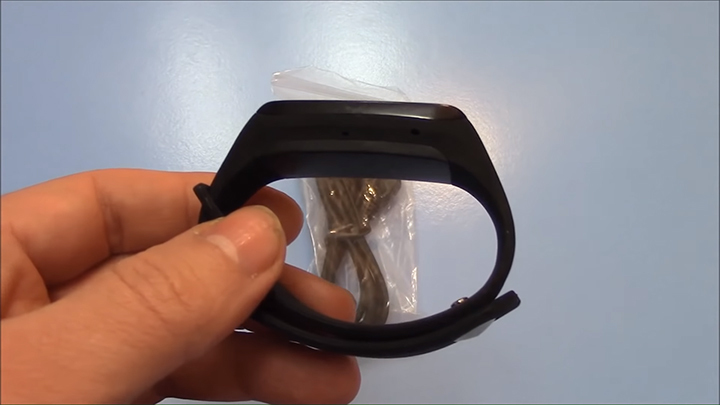 The charging port is also not hidden under the strap, so the bracelet strap is not needed to be removed every time during charging, which is a great comfort. 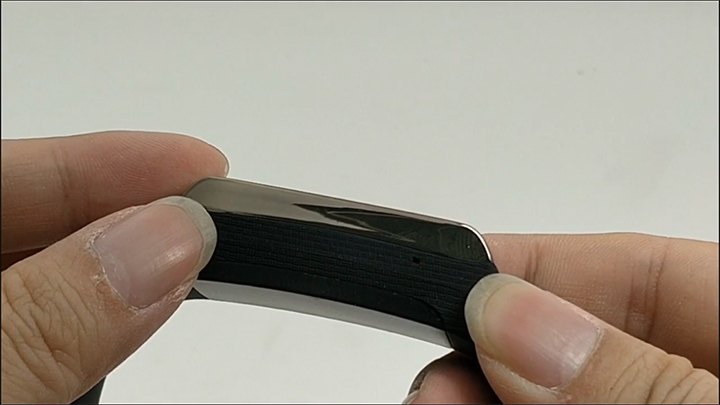 The watch comes with a 150 mAh battery to power the device. The battery charges very quickly taking power from any USB interfaces or adapters through the charging cable supplied. The 150 mAh battery has capacity to give back up of 60 minutes video recording after being fully-charged once. The battery is of small capacity, which makes the charging time real quick. No long charging period is required for the watch. Alfawise MC50C has a 2560×1440 resolution camera, which is a 3.68 MP camera. Photographs can be taken quickly and conveniently without getting the phone out of pocket. The watch will use its own photo lens, so no need to take out the phone for quick photos. 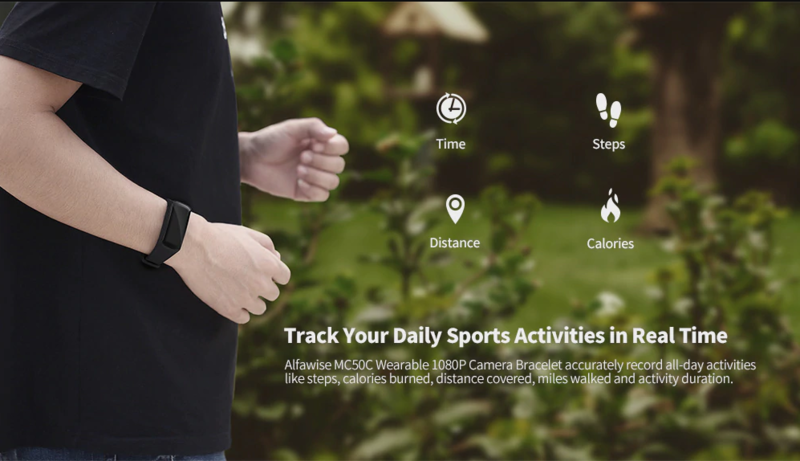 The smart watch Alfawise MC50C has a video recording resolution of 1920×1080. 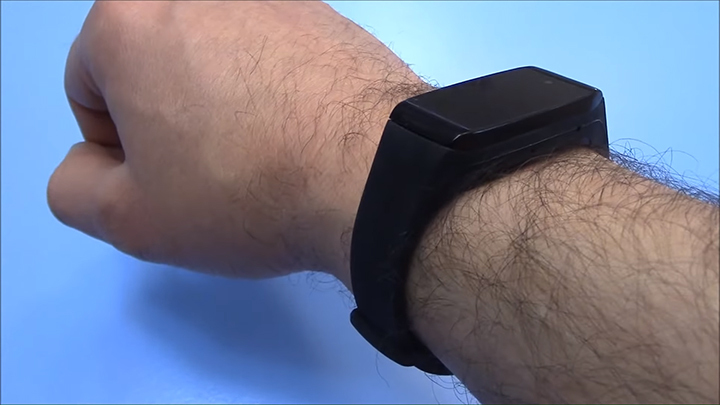 Now your watch is smart enough to be your video recording pal. Wear your camcorder with you very conveniently in the form of a nice watch. 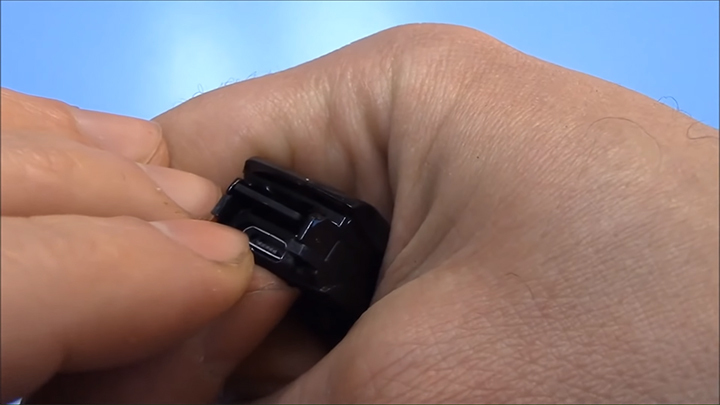 The resolution of recording is HD, so any moments will not be missed and can be recorded in perfectly clear detail. The frame rate of the video is also 30fps, which makes it convenient to record videos of moving objects as well. 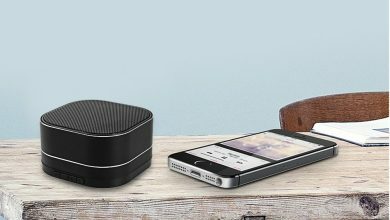 The connectivity is supported by Bluetooth version 4.0 which goes in connection with all the new devices with ease. Many of the old devices also use Bluetooth 4.0 and those can also be connected. The working temperature of Alfawise MC50C is -20 to 60 . This allows the watch to be wearable and operational worldwide in almost any region possible. Take your smart watch with you in any trips be national or international, Alfawise MC50C will not disappoint you. Almost all sort of operating systems are supported by the watch. Windows me/2000/XP/2003/vista/7, Mac OS, Linux all popular operating systems are supported by the watch. The watch supports the expansion of storage up to 64 GB using micro SD (TF cards). However, the SD card does not come with the package and have to be collected by the user separately. The use of this expandable storage benefits to capture many a lot of photos or record long videos by the watch whenever necessary. Alfawise MC50C has a weight of only 32 grams. The watch is so light that it feels nothing has been worn. The light weight beautifully designed watch beautifies the wrist of the owner with no additional irritating weight at all. Its compact design attracts the user from the beginning. HD video and photo shooting etc. Attractive beautiful bracelet design, offers eye-catchy look. 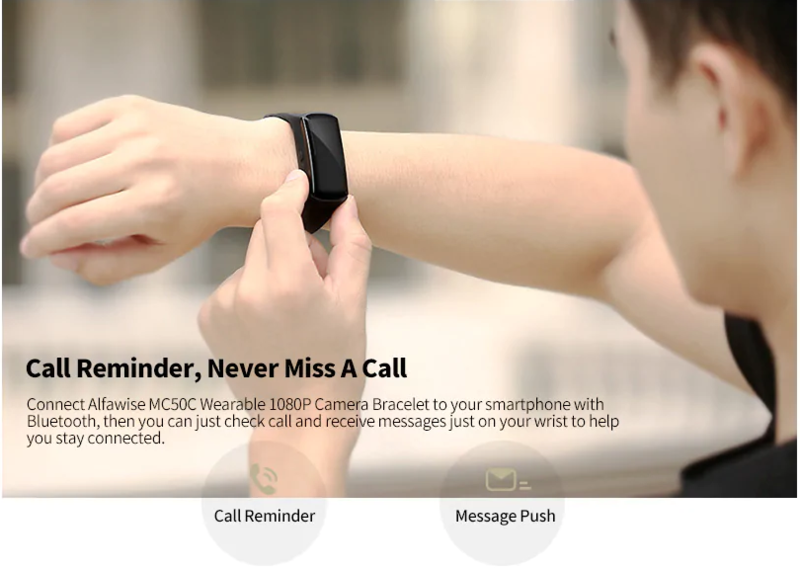 Overall Alfawise MC50C is a smart, eye catchy beautiful looking bracelet type smartwatch. 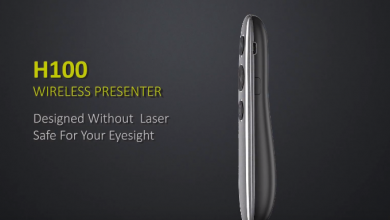 This gadget falls within acceptably economic range of affordable pricing. The features are useful in daily life. The watch provides skin-friendly comfortable bracelet, which encourages the user to wear it all along the day without irritation. 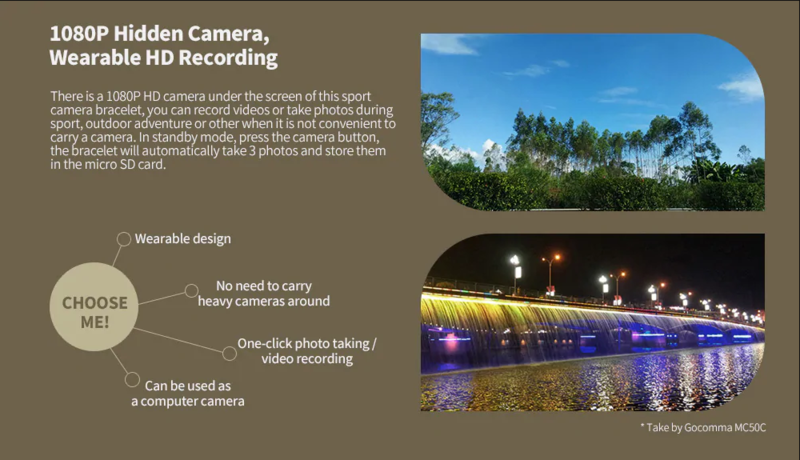 It also offers all the essential features like notifications checking, photo capture, HD video recording and much more. 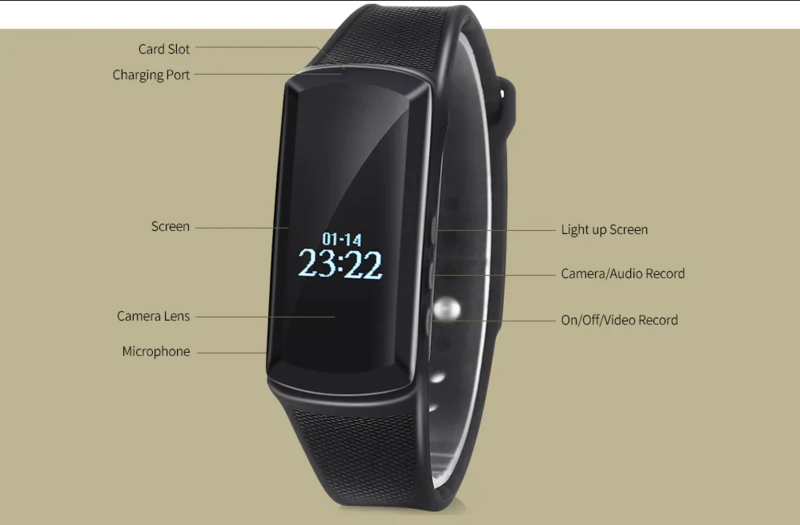 Some features like Heart rate and blood pressure monitor could be added to increase the worth of the gadget. The worth of the gadget could be increased dynamically if it were water resistant. But eventually the watch is value to money, and that is the basic need of a daily user.